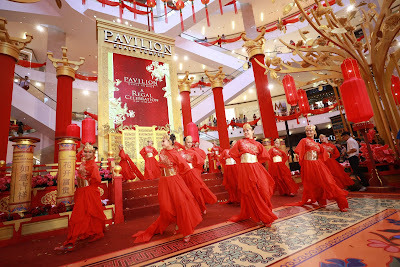 The celebration of Chinese New Year has started with beautiful decorations and irresistible promotions at Pavilion REIT Malls. 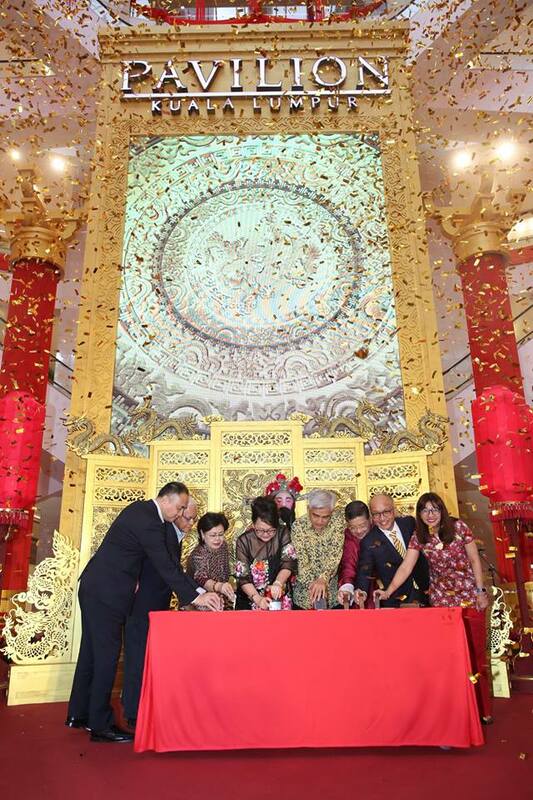 The time where lucky decorations, bright cheongsams, and auspicious angpows take centre stage! 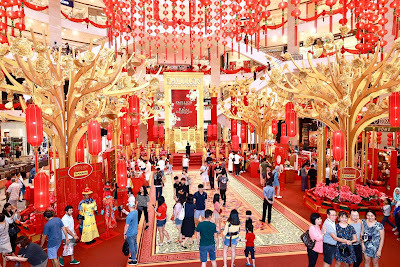 Join in the thrilling festivities as Pavilion REIT Malls herald Chinese New Year 2019 with festive shopping, rewarding experiences and an abundance wishes of luck, prosperity and positivity. Pavilion Kuala Lumpur, Malaysia’s premier shopping destination, has unveiled ‘A Regal Celebration’ – a joyous celebration to welcome this year’s Chinese New Year festivities. Inspired by the grandeur of a majestic imperial court, expect to be wowed by the opulent decorations at the mall from now until 19th February 2019. 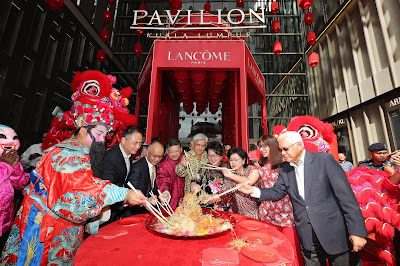 The winner of 44 awards, Pavilion KL is a favourite destination for tourists and locals for its festivals and celebrations, where visitors can immerse in a sensory journey and experience with Maybank as the official bank partner for 2019. This Chinese New Year, receive a regal welcome with two towering golden lion sculptures at the Main Entrance. Upon entering the mall, marvel at the red LancÔme lanterns, part of the brand’s “The Big Wish” campaign. Then, take a regal walk through the Spanish Steps for a ceremonial and prosperous entrance while enjoying a specially-curated exhibition by Shiatzy Chen, featuring a collection of chic, neo-Chinese costumes on display. Step into the Centre Court to find yourself in an imperial court, complete with a Dragon Throne, surrounded by magnificent gold trees, opulent pillars and a sky filled with lucky red lanterns. Prosperity Bells offer an engaging experience, spin them to receive an abundance of good wishes. 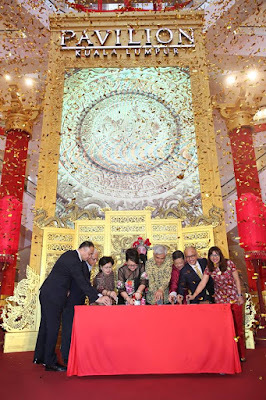 Launching ‘A Regal Celebration’ was Dato’ Yean Yoke Heng, Deputy Secretary General of Ministry of Tourism, Arts and Culture; Dato’ Joyce Yap, CEO of Retail, Pavilion Kuala Lumpur; Pavilion REIT Board of Directors: Dato’ Maznah Abdul Jalil, Dato’ Frank Choo and Syed Mohd Fareed bin Shaikh Alhabshi; Mr. Philip Ho, CEO of Pavilion REIT; Dato' John Chong, Group Chief Executive Officer, Community Financial Services of Maybank; and Datuk Zulkefli Hj. Sharif, Chief Executive Officer of MYCEB. 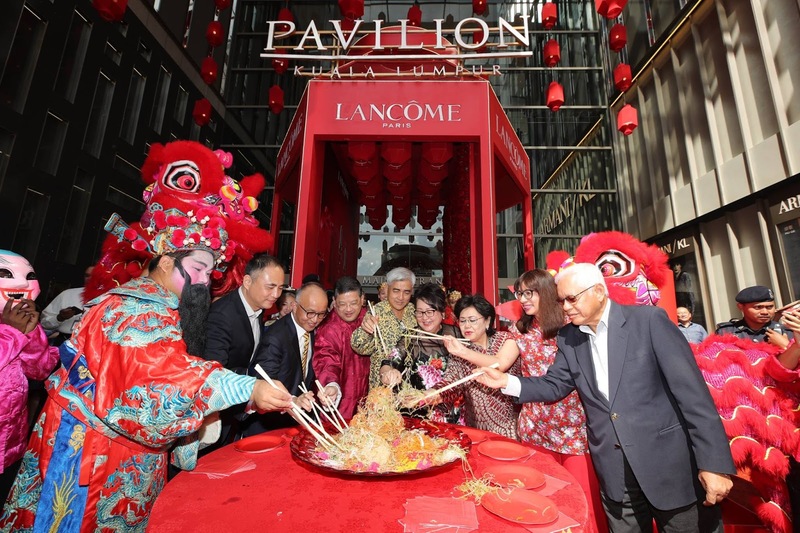 Guests comprising shopping and tourism industry partners, media and friends of Pavilion KL were treated to a magnificent afternoon of acrobatic lion dance performances, traditional lou sang tossing and plenty of festive fun. Redeem a free ang pow pack with a spend of RM500 in a maximum of two (2) combined receipts. For Maybank card members, receive a CNY angpow gift set with RM1,500 spent in a single receipt from specialty stores with Maybank Cards from 10th January 2019. Spend a minimum of RM300 in a single receipt and stand a chance to win one of TSL’s 12 Twelve Treasures 18K Gold Diamond Necklace worth RM4,690 each. Embark on a journey of ‘喜XI, Happiness of Life’, as Intermark Mall presents a prosperous celebration with festive performances, exclusive shopping rewards and amazing offers from now until 19 February 2019. Step into the Spring Garden of Blessing that depicts 5 traditional wishes of luck, success, longevity, happiness and prosperity. Redeem a lucky Chinese Knot decoration as well as a Boft photo experience and print with a minimum spend of RM188 in a single receipt. Or spend RM388 and more in a single receipt to redeem a complimentary Oriental Signature or Kenshin Bar voucher. Enjoy Oriental drum and dance performances by talented students from Taylor’s International School Kuala Lumpur, and catch the stunning lion dance performances accompanied by the God of Prosperity to receive an exclusive angpows. Don’t forget to bring home delightful goodies and festive hampers by Jaya Grocer and Premier WuYi DaHongPao tea house. Expect thrilling excitement at Da Men Mall where ‘Leaps of Prosperity’ celebrates the heritage and culture of the lion dance. 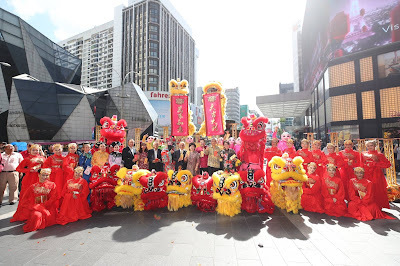 In partnership with renowned International Kun Seng Keng Lion & Dragon Dance Alliance, lion dance displays and exhibition from now till 19 February 2019. Don’t miss out on acrobatic lion dance performances every weekend! As a community mall, Da Men is also a hub where students and shoppers alike converge to participate and enjoy festive dances, music, and the appearance of local artistes.